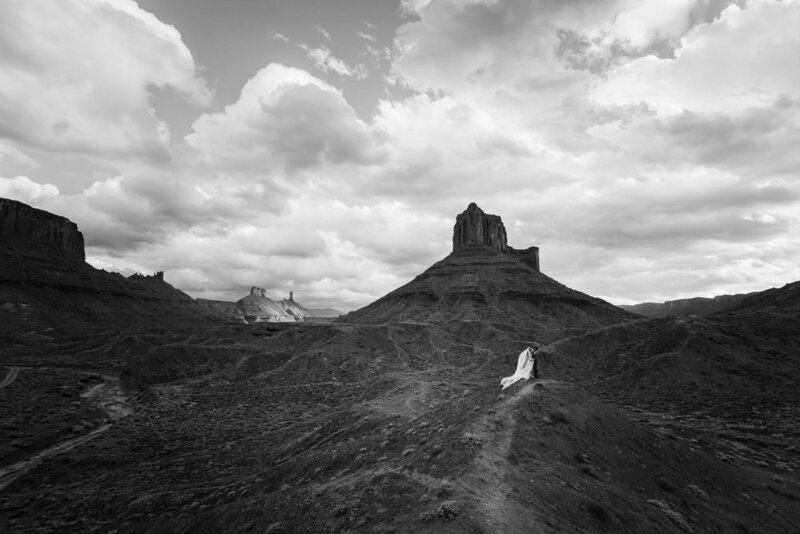 kim + ryan got married on a space net 400 feet above the desert near Moab, Utah. their story has taken the world by storm! you can find a news story about their wedding here. I will be blogging the wedding day later this week and will link to it in this post as soon as it's available. see more here. 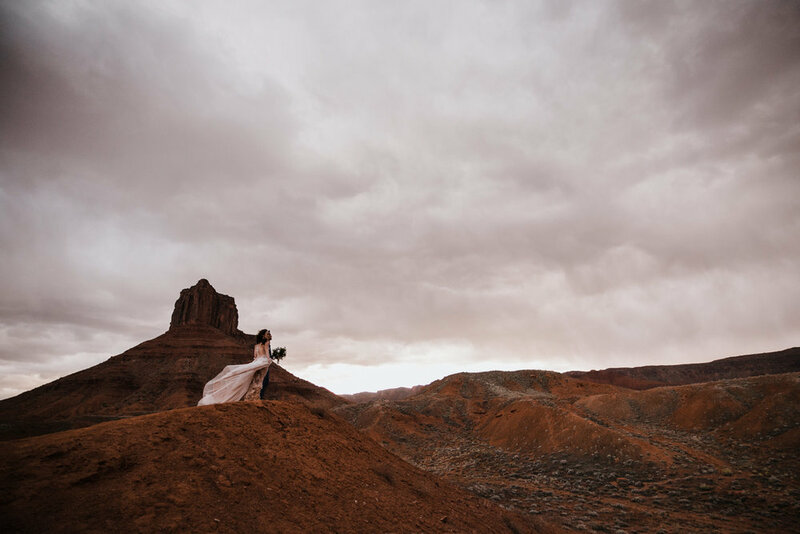 When we were preparing for Kim + Ryan's epic wedding weekend in Moab, we knew the actual day of their wedding would have a lot of moving parts and it would be difficult to get a good number of sunset portraits with them. 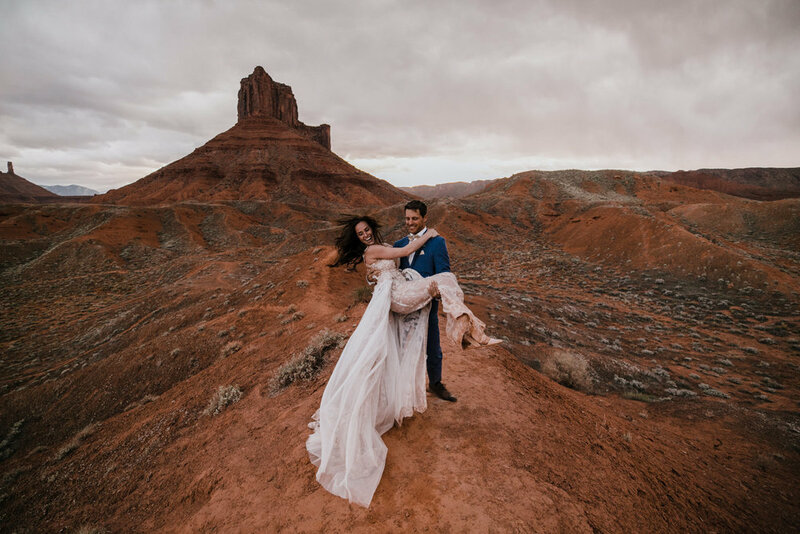 One of the most gorgeous and exciting details of their wedding day was Kim's insane Galia Lahav dress, so I suggested they do a "first look" and wedding portrait session with us in the desert a few days before the wedding. Kim and Ryan were totally on board (which became the theme for their wedding weekend - it was amazing how much they trusted me with everything!) 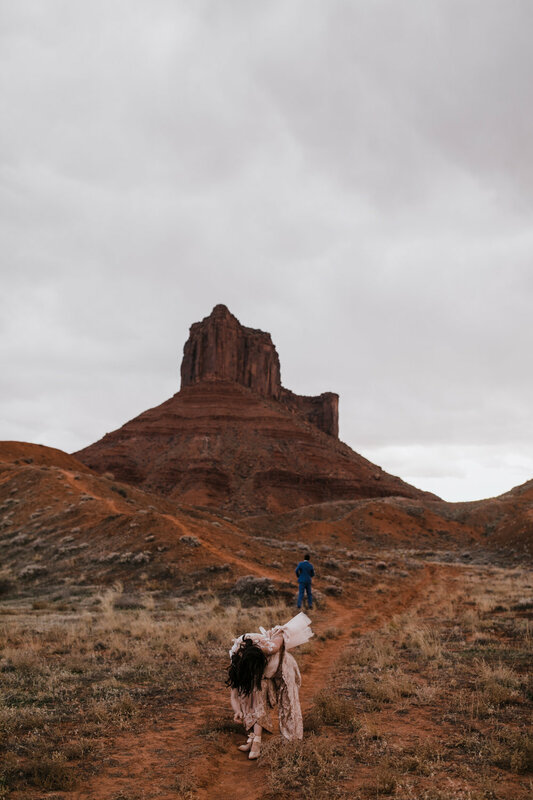 so we picked a spot that would be super different than their wedding location and that would be "classic Moab." I can't think of a more iconic location than Castle Valley, so we met them out there a few hours before sunset. As we were driving out, it was pretty obvious that a storm was approaching, but we figured we could shoot until it started raining and be happy with whatever we got! 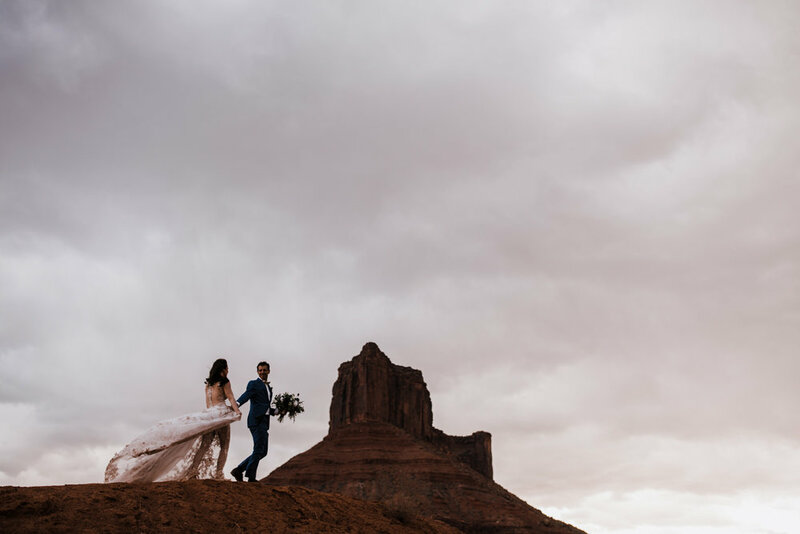 In typical Moab fashion, the storm began with moody clouds and 40+ mile per hour winds, which made for some amazing photos! We got a full hour of shooting before it started raining and we ran back to the cars just in time. Not only did Kim have her amazing dress (Lily Rose by Galia Lahav) but she was also wearing a custom cathedral-length veil to match. 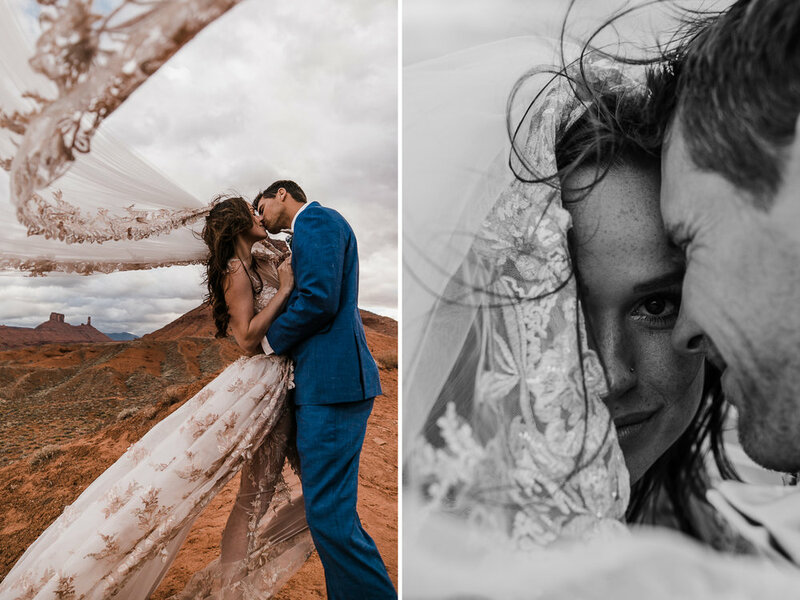 Some people might think we were crazy going out into the desert in a wind storm with a cathedral length veil, but I always say weather is meant to be embraced and some of these photos are my favorites we've ever taken because of the wind! There was no need for fake veil flips or directions to make our bride + groom laugh...that wind pretty much did my job for me ;) Anyone who knows these two knows they're madly in love, and despite this being our first time shooting together (which is funny considering how much we've shot since then!! ), they were immediately comfortable in front of the camera. 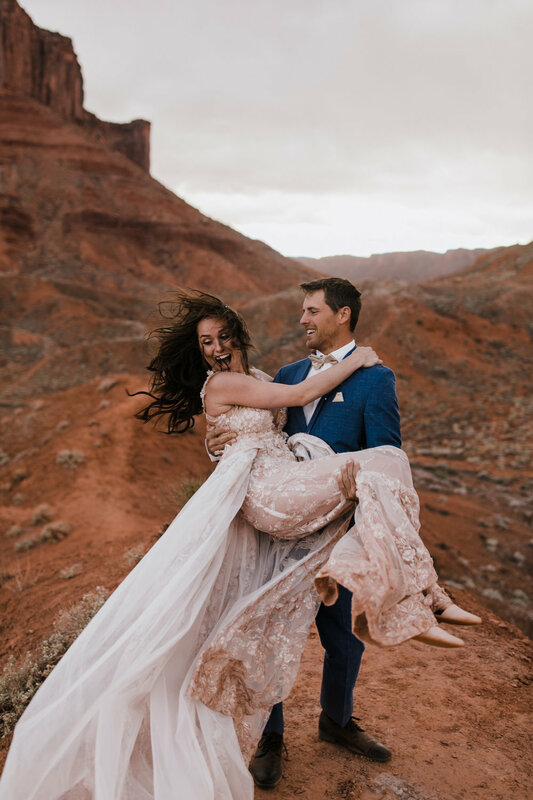 I loved watching them do their thing, embracing the crazy Utah desert winds, laughing, holding tight on the veil, and truly enjoying each other as if I wasn't there. Once we felt a few raindrops, we ran back to the cars and by the time we piled in their van the storm was in full swing. Callen and I ended up sitting through it for a few minutes before driving back and it was crazy crazy!! Shaking the van and blowing dust in every direction. 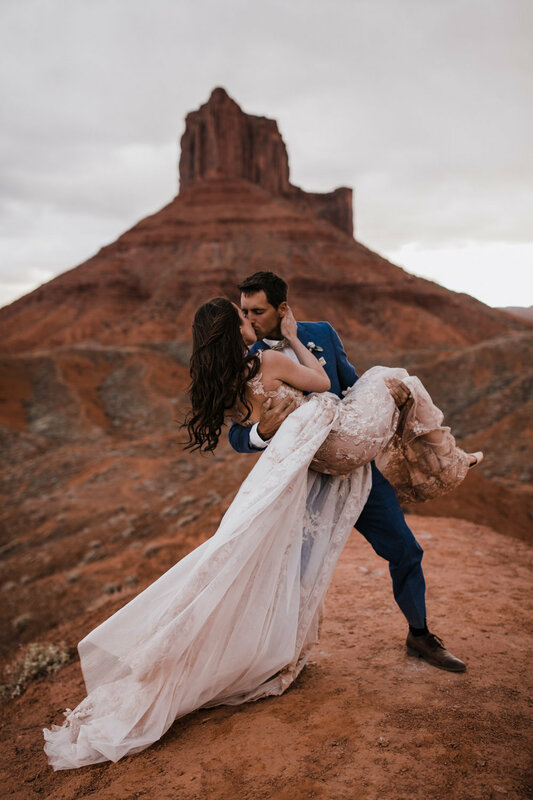 Looking through these photos, we are so so glad everyone took the time to make a pre-wedding session happen because while we did get some amazing photos on their wedding day, these ones are so different! 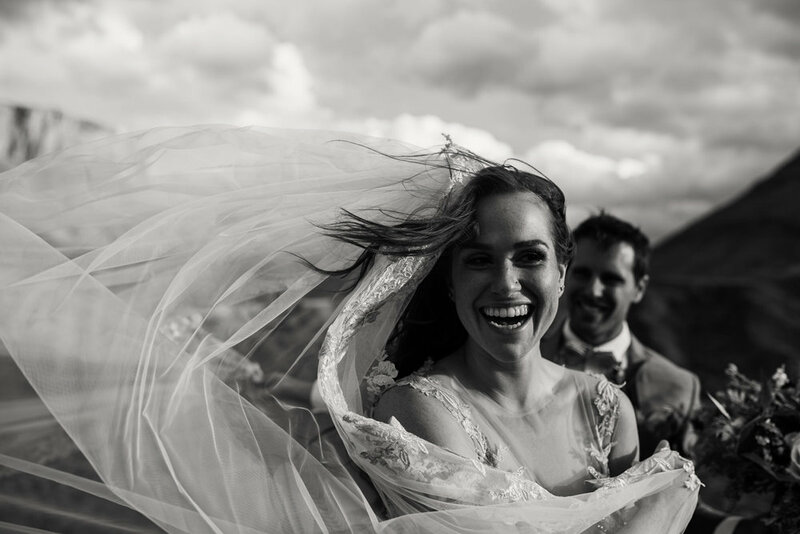 Future wedding couples - if your day is going to have a lot of guests or a packed timeline, we highly reccomend considering a pre-wedding or post-wedding bridal session nearby. It's a great way to get a huge variety in portraits and just get more photos!